Posted November 21st, 2018 by BreeAnn Gale & Categorized Client Weddings, Wedding Show. This fall we had the opportunity to design The Golf Club at Newcastle’s Murfield Room with a rock start team of vendors and what fun it was to see all the details come together. Pulling in inspiration from the dark wood tones of the room we chose a warm color palette of ivory, champagne, copper and orange to create this fall inspired event that gave off a touch of masculinity and warmth. We feel in love with the stationery and signage from Sablewood that featured the most beautiful ribbon, copper wax seals and elements of paper and wood. Oh, and those cakes by Blue Box Bakery, almost to beautiful to eat! A big thank you to Alante Photography for capturing all the details! Posted May 25th, 2018 by BreeAnn Gale & Categorized Client Weddings. It was a fairy-tale wedding as Kevin and Michael were married at Alderbrook Resort & Spa one gorgeous spring afternoon! With life pulling them in all directions and living out of state, Kevin and Micheal reached out to us to plan and design their dream wedding day which took place not too far from Kevin’s family home on the Hood Canal. Incorporating a romantic Pacific Northwest vibe filled with lush floral, the sounds of string music and their love of tea the details were endless! One of our favorite moments of the day was the rowboat send-off which mimicked Michael’s first trip out to Alderbrook Resort when Kevin rowed her down the Hood Canal to Alderbrook for lunch before heading back to his family home. What love! Follow along as the images from Alante Photography tell the story of one romantic wedding day all ending with sunset photos at Alderbrook Golf & Yacht Club – a bonus when your wedding celebration ends in the late afternoon! See more weddings planned by Pink Blossom Events! Posted March 3rd, 2018 by BreeAnn Gale & Categorized Welcome Gifts. See more by Pink Blossom Events! Posted February 27th, 2018 by BreeAnn Gale & Categorized Client Weddings. Tonight we’re dreaming of summer love and looking back over one romantic garden wedding at Jardin del Sol captured by Alante Photography. Kristine and Curtis had a vision for their wedding and we were honored to be the planning and designing team making their dreams come to reality! Family and friends were the focus that warm summer day as they tied the knot. One of our favorite additions were the homemade pickles that Kristine spent countless hours in the kitchen crafting to ensure their guests left with something from their heart! Posted March 8th, 2017 by BreeAnn Gale & Categorized Client Weddings. Mod and Anthony met at the University of Washington as they were both studying Mechanical Engineering. After nine years of friendship and three years of dating it was a celebration long overdue as Mod and Anthony were married by their friend Kenneth, a friend of theirs from their studies at UW. Photos of Mod and Anthony’s May wedding by Alante Photography! Congratulations Mod & Anthony! Posted February 5th, 2016 by BreeAnn Gale & Categorized Client Weddings. After meeting on eHarmony.com Michelle and Joe knew after the first date that they were each other’s “the one”. Later on in their relationship they found themselves at the top of Haleakala National Park in Maui as they watched the sunrise together and Joe asked Michelle to marry him. With the engagement underway they set out to plan their dream wedding at The Edgewater Hotel. 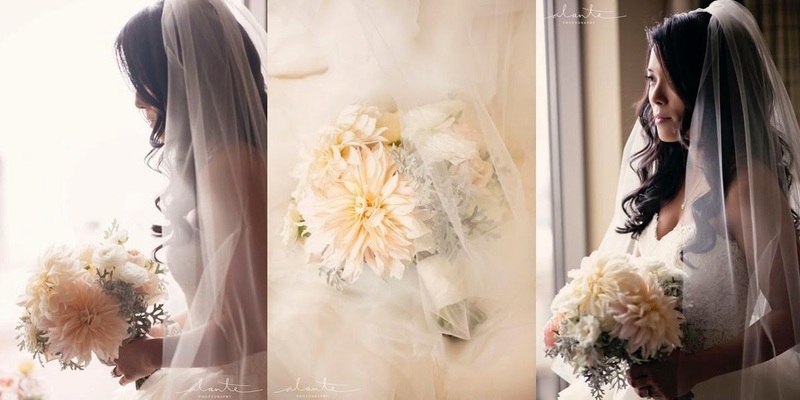 Alante Photography captured a day filled with classic elegance and lots of love! Congratulations Michelle & Joe! Posted September 2nd, 2014 by BreeAnn Gale & Categorized Client Weddings. When Hannah and Mike came to Pink Blossom Events for help planning their wedding, Hannah told me that the most important elements to her were dessert as she always ate dessert first, a grand entrance piece and lush floral although nothing too bright as neutral palettes always caught her eye. With Sodo Park as the backdrop, I went about designing their wedding with those elements in mind and incorporating vendors who met their vision. I look back over the images taken by the ever talented Alante Photography and reminisce over a day full of love, beauty and celebration.